How to get a review and job success rate from a permanent hire? I have been working for a client handling his project which is like a permanent position that will not end by submitting any final material from me. It's like a permanent customer service job. Now I need reviews on my account as it is a new account but the client can only give reviews after the contract ends. If this contract goes for years (I certainly hope it does), how would I get my client to analyze my performance through a review? And how will my job success rate go up? You can only get feedback when the job is ended, so if this goes on for years, you could ask the client to end it, give feedback, and send you a new offer. Can I ask my client to send me a fixed price offer to work on the same project for a couple of hours so that he could leave feedback at the end? You and your client can agree on whatever you like, if it's within ToS. Just make sure you explain to your client what your aim is, which he might appreciate if you don't work for him full-time. Can you please confirm if this would be in line with the TOR's? Let me rephrase. I will ask my client to hire me for fixed price job (apart from our permanent contract) in which I will work on the same tasks that I usuallt work on in our permenent contract. I will invoice him for that fixed price so that he could leave a feedback. Please confirm if this will violate any Upwork policies? Also how does my job success rate go up? I don't see how this would be against ToS to have 2 contracts with one client, but probably not for the exact same task, as this could be looked at as feedback manipulation. Not sure. I would not ask him for 2 contracts at the same time, but consecutively. It would be confusing for the client, though, and the question is if he is willing to go along with helping you get a review, because the whole purpose for you is getting other clients. You only have 1 client, and you need a number of different clients to get a JSS, so you are not close to that anyway. If you are working full-time for this client, just don't bother. Feedback manipulation is strictly forbidden. To get a JSS you need to have 4 to 6 (usually) completed contracts from a minimum of 3 different clients, so to try and make your client give you a fake (for all intents and purposes) feedback for a fake (for all intents and purposes) job will not help with that. 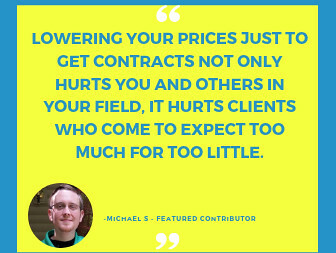 I would strongly suggest you get some small, easy, short contracts from other clients which you can get genuine feedback from, rather than try to pull your existing client into shady practices which ultimately won't do any good at all. So, what you're saying is, you'd like to bother your client who is paying you money by asking him to go through the steps of closing the contract (which means he stops paying you) in order to get a review which has no monetary value. Then, you hope that among all the thousands of freelancers he has to choose from, who have not bothered him yet, he will come back to you, go through the trouble of opening a new contract and continue to pay you money. And you are doing this so that even though you are right now getting paid money by this client it will better position you to hope to try to get some other client to hire you later. I can see why Upwork could consider closing and re-opening the same project every week with new feedback each week would be seen as manipulative. But would it really be against Upwork's Terms of Service for a client to agree to give the freelancer feedback every six months or so? That is not manipulative, and is doable under Upwork's current structure. 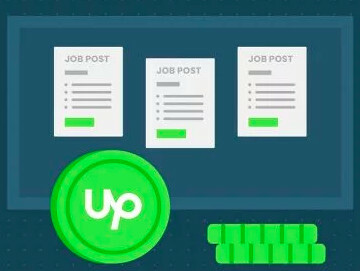 Or Upwork could give its "400 engineers" something to do when they have some down time by adding the functionality for a client to leave occasional feedback without having to close a project, which both good clients and freelancers would appreciate. 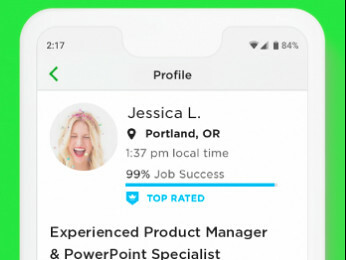 Upwork has made the JSS is so important to freelancers in getting new jobs on Upwork that it makes no sense for Upwork's own rules and systems to prevent satisfied long-term clients from leaving occasional feedback on a long-term project.